Japanese cuisine is familiar all over the world today. At Japanese restaurants, you can see people, regardless of their ethnicity, enjoying the food of this culture. There is a passionate story behind the men who have dedicated their lives to spreading Japan’s traditional cultural cuisine making Wa-shoku (Japanese Food) recognized throughout the world today. This documentary shows the past and the future of Wa-Shoku that these men and women created and how they have maintained the essential traditional qualities of Japanese food. The film is a collaboration between Japanese and Americans and is produced by United Television Broadcasting Systems, the first Japanese-language TV station based in the United States, and is directed by award winning director Junichi Suzuki, who made a trilogy of films based on the Japanese American experience during World War II: TOYO’S CAMERA, 442 – Live with Honor, Die with Dignity, and M.I.S. – Human Secret Weapon. 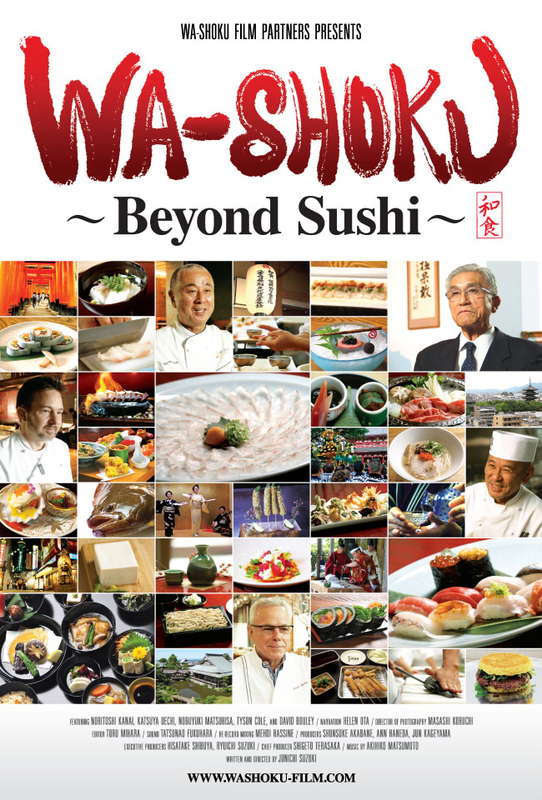 WA-SHOKU ~ Beyond Sushi ~ features Nobu Matsuhisa, chef/owner of Nobu restaurants; David Bouley, chef/owner of Brushstroke in New York; and Noritoshi Kanai, chairman of Mutual Trading Company, Inc.
For showtimes and to purchase tickets, please visit Cinema Village’s website.